I’ve been playing around with the OBS streaming software and have found a way to share my right- and left-hand window views. Here’s a test and I think it works well. Let me know what you think. Now I’m going to get into playing with changing settings, but so far I am very happy! 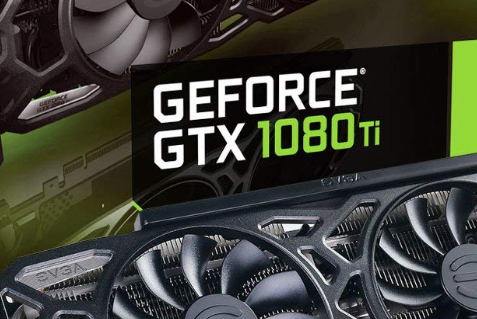 It looks great, and performs well, too. As I noted in a prior post, the folks at RealSimGear were kind enough to send me their GNS 430 unit for review. I was quite happy about this as this is the unit I use in the real-world, and I’m very eager to have it in the sim. Short story: It’s a great unit of the highest quality. It’s ideal if you use a 430 real-world, if you have a panel in which space is at a premium, or if you want to dual-stack with the 530. And note: this unit, like the 530, works just as well on a desk, giving you a real-world interface for the GPS if you fly the sim on a desktop rather than in a cockpit. I hope to do a panel rebuild next week, in which case you can expect another video soon thereafter that shows it panel-mounted. Until then, this is a quick glimpse, and you can learn more about the unit here. Tomorrow, in fact. This is the first major upgrade I’ve made to the sim PC since I bought it nearly three years ago. I can hardly wait. 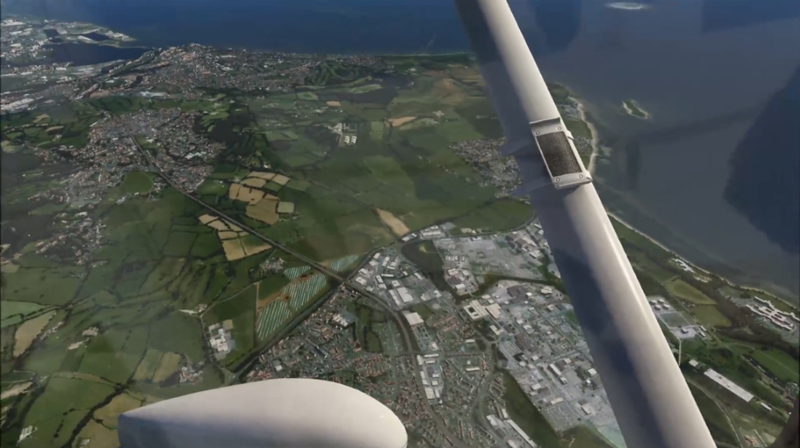 Yesterday I was able to download and install (on my own dime, not as a promotion) the new True Earth Great Britain South scenery from Orbx for X-Plane. 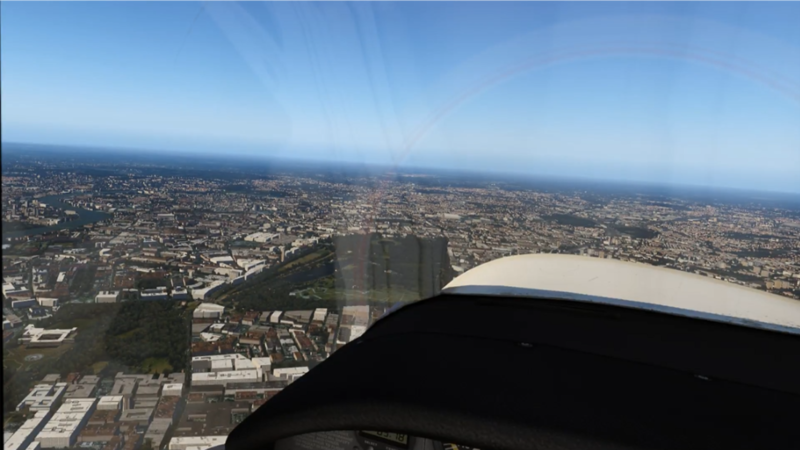 I had posted about this upcoming scenery earlier in the month, along with some Orbx screen caps. It looked fantastic, and in all candor this was an announcement I’d been waiting some time to see. I used Orbx scenery extensively when I used P3D, and while the ability to create your own photorealistic scenery in X-Plane (for free) is a huge asset, as is the availability of HD mesh (also for free), there’s nothing quite like photo scenery, mesh, and landmarks created by someone who’s really doing it with intention. 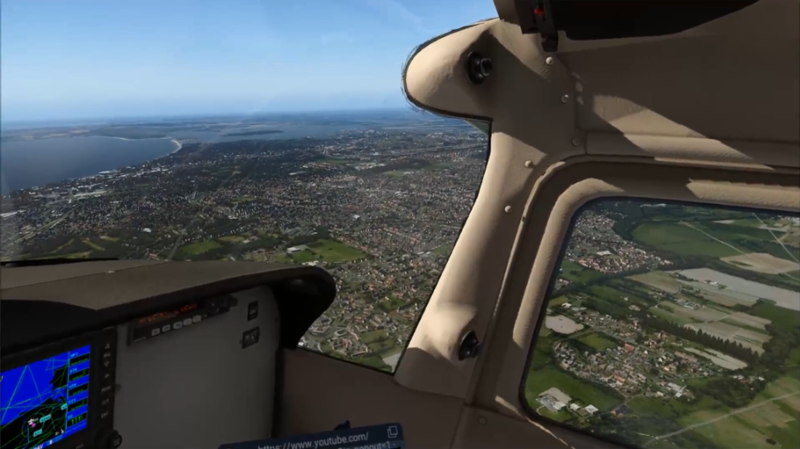 And after spending about 90 minutes kicking the tires on the scenery in VR yesterday, I can say without hesitation that Orbx has created an amzaing product for X-Plane. I streamed that VR flight online, and it’s posted below. It was my first flight in the scenery, and we started in London, in part to find out what it does to my frames, optimal settings, etc. 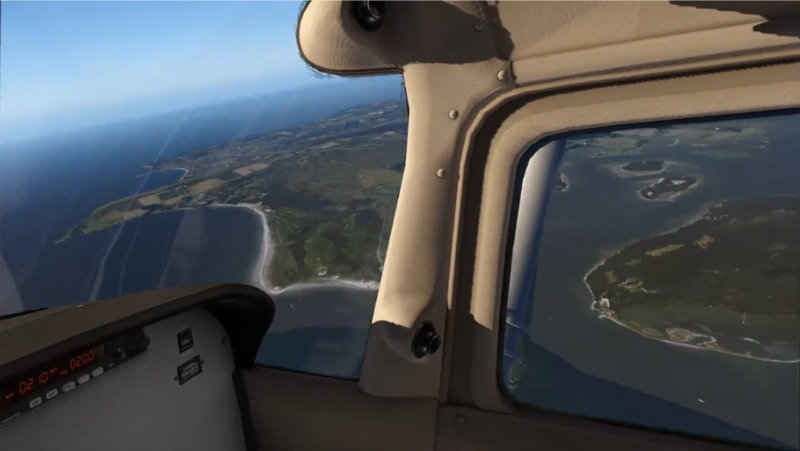 So if you choose to watch the video, know that much of the first 40 minutes or so are me trying different settings, re-loading the scenery and X-Plane, etc. Summary of the London experience? Really hard on my frames in VR, although people in the comments noted that it seemed to be much easier on frames in their physical cockpits. So perhaps it’s something about the VR rendering. It was not unflyable — nothing is unflyable if you compromise your settings — but to have what looked like a natural draw distance of objects, and a decent density to my taste (one notch below full on the object slider), my frames were really being tested. I can tolerate it, but it doesn’t make me eager to spend a lot of time flying around London (at least not until I upgrade my PC and video card). We also ported to three other locations, though, and that experience was spectacular. Good-looking tiles, fantastic color-correction of the ortho scenery, trees everywhere (and of many different varieties), fantastic autogen buildings, gorgeous blending of the water textures on the seashore, and many, many custom local objects just where they should be — with highly flyable frames (at least on my rig). It was nothing short of thrilling in VR, and it looks good at all times of day (including at night, with all kinds of unique strobes, flashing red lights, etc. on different objects). 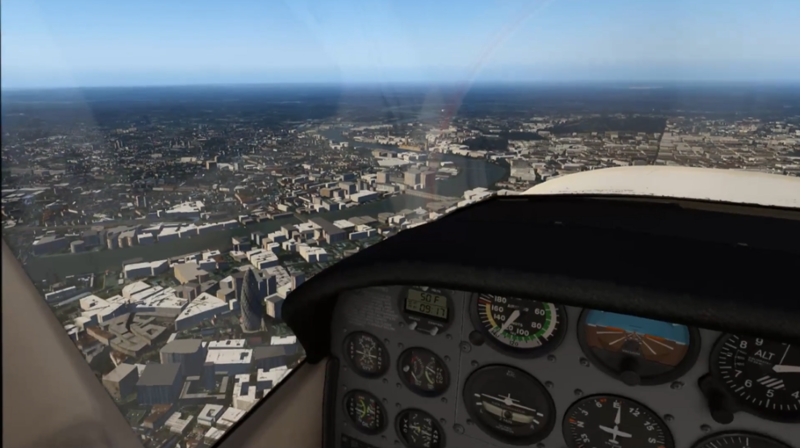 Summary: If you like to fly GA, this scenery is a must have. GB Central and North are next, and then Orbx plans to move to the US. 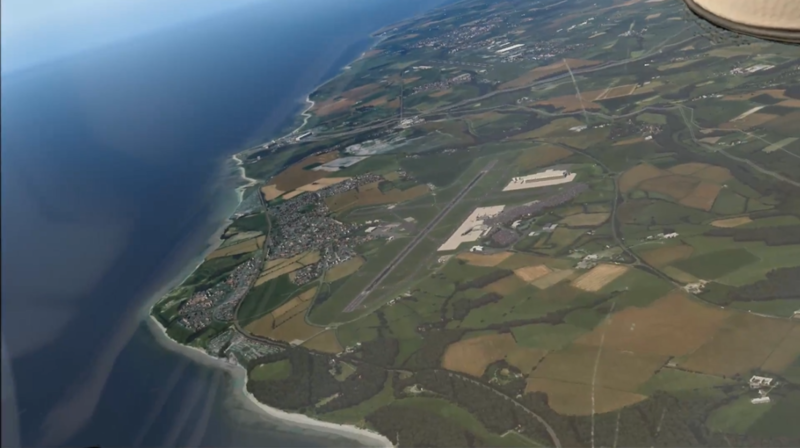 And if you are tracking the path of X-Plane scenery development, all I can say is that Orbx have done it. The future is here. Video and screen caps from the video are below. The good folks at RealSimGear were kind enough to send me one of their GNS 430 units for testing in the home cockpit. I already have the 530, which is fantastic, but as I use a 430 in the real world I was eager to have a similar unit in the basement sim. I likely won’t get the unit installed for another week or so, but here’s the unboxing. Like the 530, the quality is excellent, and I’m excited to use it. 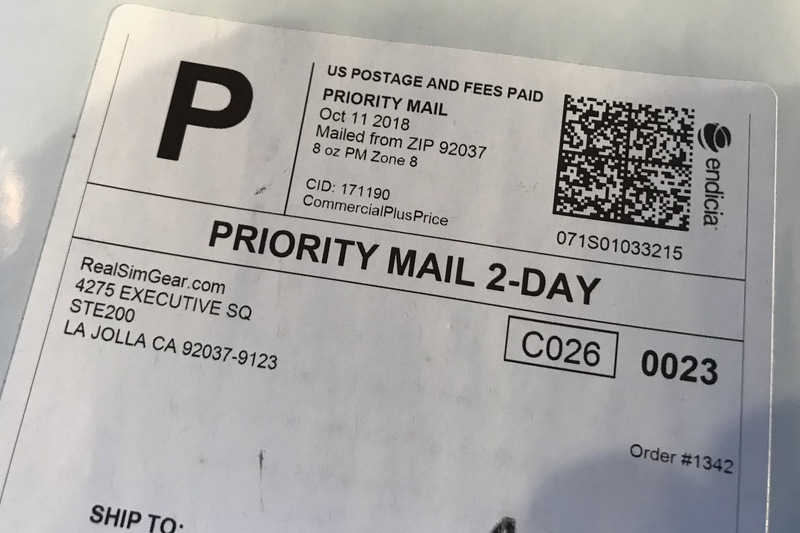 I was excited to see a package with this label waiting for me. Full report to follow.